Merry Holidays to everyone in my Tripawds family, from me, Tripwds Spokesdawg Wyatt Ray! It’s gonna be a very chill celebration for us since I gotta stay home and recuperate from my stomach blockage surgery. I hope you have more fun than me and my peeps! When your party is over and you’re kickin’ back with your pack, stop by the Tripawds chat room for one more celebration. We’ll be there in the evening on December 25th (Pacific Time), see you then. 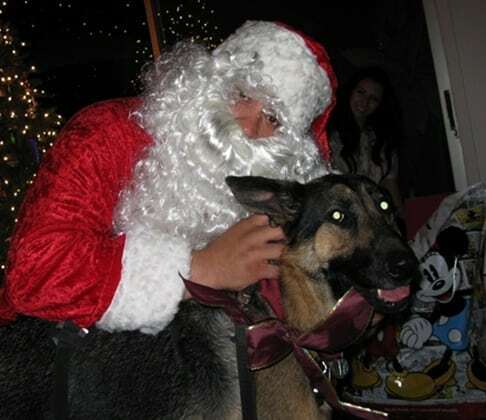 Meanwhile, below is a fun flashback for you: Tripawds News Blog Posts of Christmas Past! 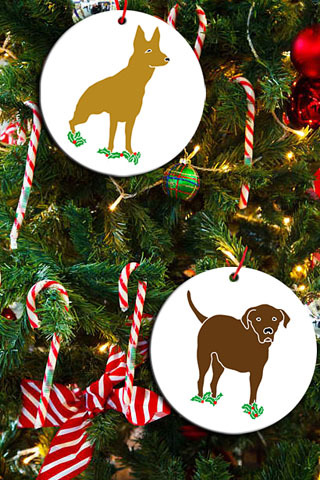 Be sure to also check out all of the fun Christmastime posts from the entire Tripawds Community! Hoppy Howlidays! May all your celebrations be merry and bright! Oh Jerry, Jerry, Jerry! Watching that video of you pening you “lresents” exhausted me!!! I had an absolute blast watching n you..laughing and cheeringnyou on the whole time!!! You did a masterful job! Younused your front leg and teeth like tools of perfection for openingmpresents snd undoing ribbons! Itsw the first video Ive seen of you really hating on Barney!! OMD!!! You really let him jave it! But the best part of the video was seeing themjoy and happiness in your eyes! :They were twinkling birghter than the brightest starts! And you were so tired….tired from having THE best time!!!! A d WyattRay, you look …err….hmmm….handsome?…nah…ADORABLE in your little booties!!! Thank you for sharing these fun memories with a remarkable soul…and his remarkable humans! You have changed the lives of sooo many and giving hope when there was none. Thank you, thank you, thank you! Enjoy the spirit of the holodays and may it warm your heart all year knowing you have made a difference in the lives of so many. With on love and non-stop gratitude! Merry Christmas!! Merry Christmas Rene, Jim, Wyatt Ray, & Angel Jerry. I hope this year brings lots & lots of good stuff to you all.